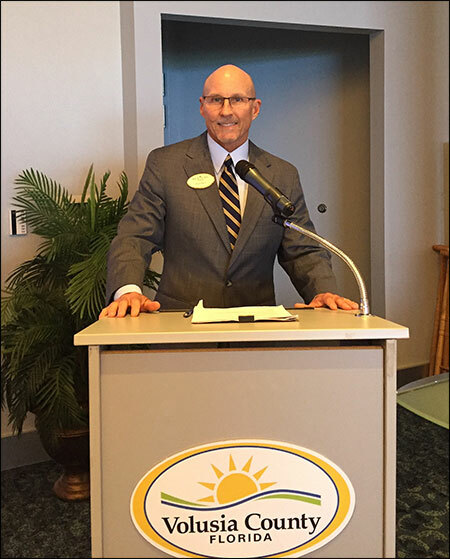 Paul Rice, pictured here, moderated the Volusia County Bar Association's Nuts and Bolts of Family Law Seminar at the Daytona Beach International Airport on May 12, 2017. In addition to assembling the speakers and arranging the agenda for the seminar, Mr. Rice spoke on the topic of law office management for the family law practitioner. Nearly 50 family law attorneys attended the annual seminar. In addition to Mr. Rice, the speakers included four family law judges and a general magistrate who presides over temporary family law matters and child support hearings. The seminar dealt with divorce topics such as parenting plans, division of assets, alimony and child support as well as paternity. The all day seminar included a continental breakfast and lunch. Paul Rice is a past president of the Volusia County Bar Association and has chaired its Family Law Section for almost 15 years. Mr. Rice is board certified in marital and family law, and he has 33 years of experience helping spouses and parents through difficult circumstances. Mr. Rice's office is located in Daytona Beach, Florida, and he practices in the Central Florida counties of Volusia, Flagler, Seminole, Brevard, St. Johns and Putnam. If you have any questions about a divorce or paternity matter, Mr. Rice can be reached at PaulRice@RiceLawFlorida.com or 386-257-1222.